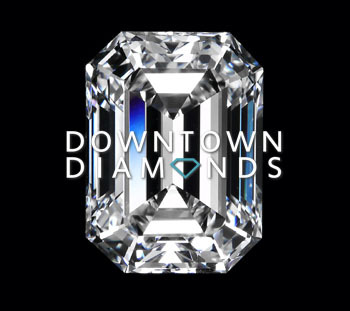 We are proud to offer diamonds to suit individual needs of our local and international clients. 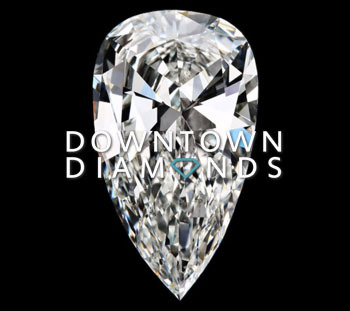 At Downtown Diamonds, we take great pleasure in assisting our customers with choosing only the highest quality and the rarest stones to cater for their specific needs. It is with this in mind, that we endeavour to supply a wide variety of white and colour diamonds. Diamond Cut, Color, Clarity & Carat. Before you start looking for a diamond, you want to have all of the necessary information that is available to you, because the more you know, the better prepared you are to make decisions regarding your purchase. Most diamonds are cut round with a full 58 facets, and a good cut, or make, has more scintillation, more sparkle. It is the work of a master cutter that allows the diamond to be cut in such a way as to permit the maximum amount of light to be reflected through the diamond, and that’s a great reflection on you. It is the cut that enables a diamond to make the best use of light. Cutting diamond requires specialized knowledge, tools, equipment, and techniques because of its extreme difficulty. It is possible only because the hardness of diamond varies widely according to the direction in which one is trying to cut or grind. 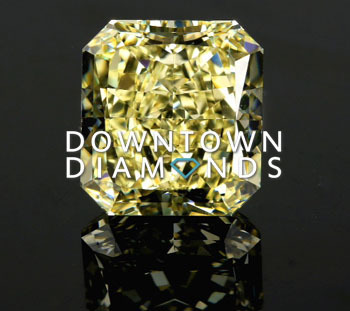 The most common diamond color is yellow. Most diamonds have a slight hint of yellow and the diamond color scale is based on the amount of yellow present in a diamond. Diamond color is graded according to the GIA Grading Scale. Grades are based on the amount of yellow that is visible when viewed facedown through the pavilion on a white diamond color card using daylight equivalent fluorescent light. Each color grade is based on a very small range. When a diamond is color graded it is compared using a set of master stones. Master stones are a set of real diamonds that display a range of known colors. 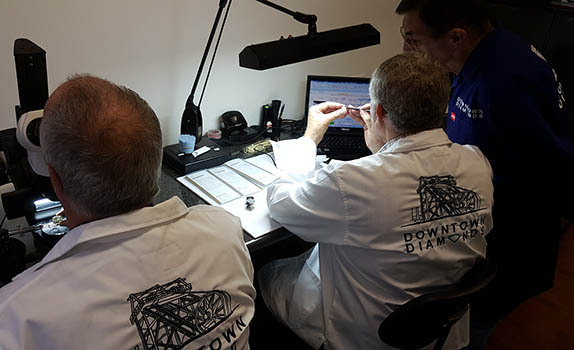 It is extremely difficult to see the color differences within diamonds, but master stones help graders distinguish between one color and the next. 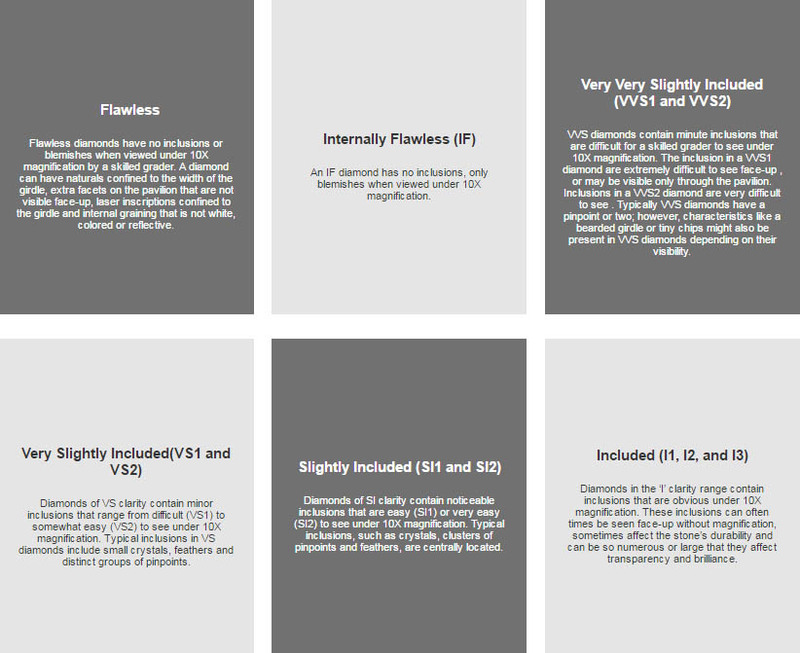 As you can see the color-grading scale ranges from D to Z. 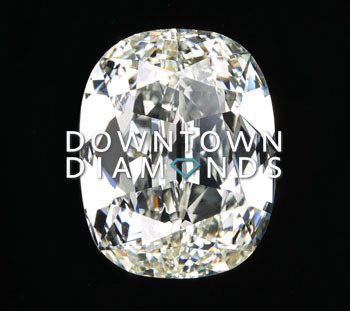 The highest color grade and whitest stone available is a D color diamond. This is also the rarest color grade, which translates to a higher value. Colors E and F have no detectable color to the naked eye and they fall into the Colorless category. 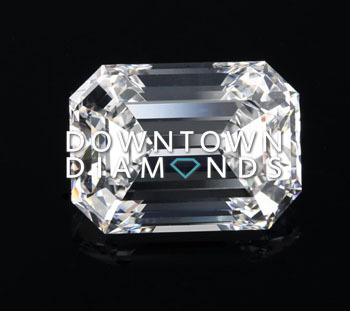 Diamonds in the G to J color range have a hint of body color and are considered Near Colorless. The eye begins to detect faint traces of yellow in diamonds that are in the J to M range. 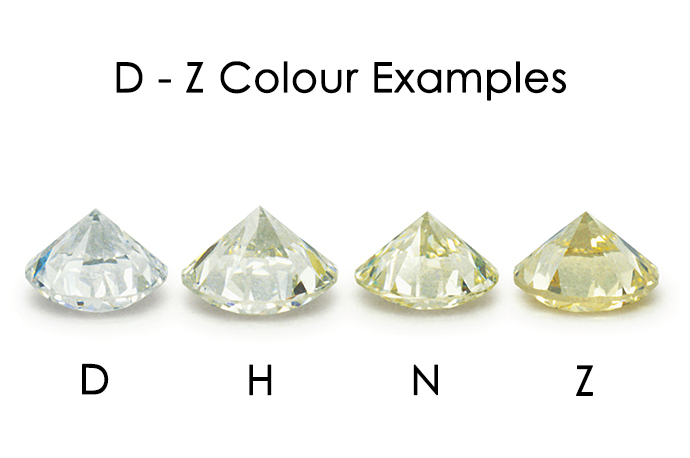 Diamond Ideals typically sells diamonds in the color range of D to J and occasionally K.
The AGSL uses a slightly different color grading scale. The AGSL ranks the stones from 0-10, in 0.5 increments with 0 representing the equivalent of colorless D stones, and 10 representing the equivalent of X, Y and Z colored diamonds. 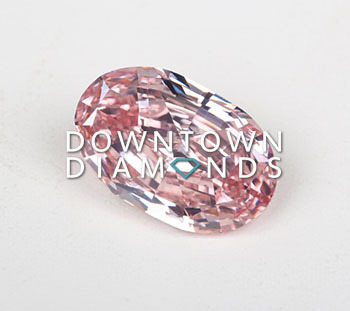 Ideal Cut diamonds offer a little flexibility in color selection. Because Ideal Cut diamonds are designed to maximize brilliance and scintillation they also tend to mask subtle color differences making H and I color diamonds appear beautifully white. Ideal Cut H and I color diamonds tend to appear whiter than poorly cut diamonds of the same color. A diamond’s color grade does not pertain to the “face-up” look of a particular diamond, but rather to the “body” color of the material. The best way to assess diamond color is to view it from the side, un-mounted, against a white background, using a daylight fluorescent bulb. 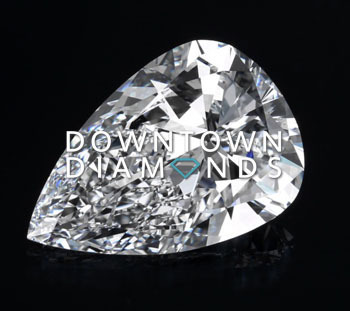 An AGS Triple Ideal Cut Hearts & Arrows diamond reflects more than 99% of the light back through the crown. There is virtually no light leakage in these stones. 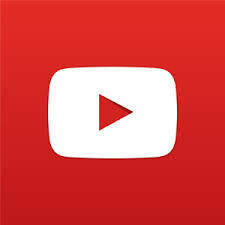 What this means to you is that rather than seeing the diamond’s color, when you look at a Hearts & Arrows diamond, all you see is white light and scintillation. These diamonds appear whiter than non-Ideal diamonds. Keep this in mind if budget is an issue. By dropping one color grade in an AGS Triple Ideal Cut Hearts & Arrows diamond, you will not be giving up anything in the look of your diamond and you will be saving money. The diamond’s clarity is a description of its internal purity. With fewer imperfections within the stone, the diamond is more rare and has a higher value. The clarity scale was developed by the Gemological Institute of America (GIA) to quantify these imperfections. The American Gem Society (AGS) uses the same standards as the GIA; however, the AGS uses a numerical system where “0” is the cleanest (GIA “IF”) and “10” is the most imperfect (GIA “I3″). All diamonds are systematically graded and plotted under 10X magnification. If a trained grader cannot see a clarity characteristic at 10X, it does not affect the clarity grade. All of the above factors are taken into consideration when a diamond is assigned a clarity grade. Crystal — Another mineral crystal contained in the diamond. These crystals can include other diamonds, garnet or a host of other minerals. 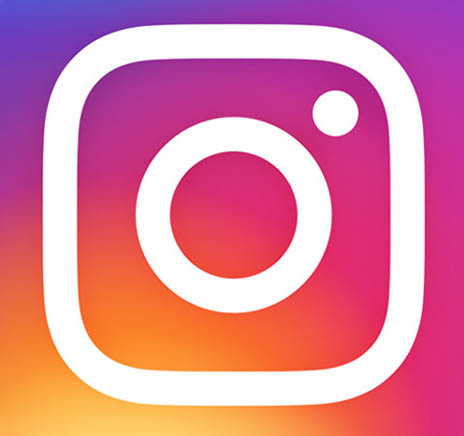 Needle — A long, thin crystal. Pinpoint — A very tiny crystal that looks like a dot or speck of dust. Pinpoints often congregate in clusters or clouds. Twinning wisp — A series of pinpoints, clusters or crystals that formed in a twinned diamond’s growth plane. Internal graining — The appearance of faint lines, angles or curves caused by crystal growth. Feather or gletz — A general term for any break or fracture in a diamond. Bearded girdle — Minute feathers that extend from the girdle surface into the stone. Indented Natural — The original crystal surface, or skin, that dips below the polished diamond’s surface. Knot — An included diamond crystal that extends to the surface after polishing. Cavity — Space left when a surface-reaching crystal comes out during polishing. Blemishes are external clarity characteristics caused by wear, the cutting process or the diamonds crystal structure. Nick — A small chip-like characteristic. Abrasion — A series of minute nicks along a facet junction. Scratch — A thin, dull, white line across the diamond’s surface. 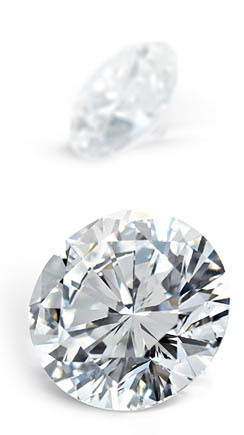 Natural — A portion of the original skin that remains on the diamond. Pit — Small surface characteristic that looks like a tiny dot. Diamond Ideals does not sell any clarity-enhanced diamonds. Clarity enhancement is a treatment to improve a diamond’s apparent clarity. A diamond with eye-visible inclusions can be seen as less desirable. 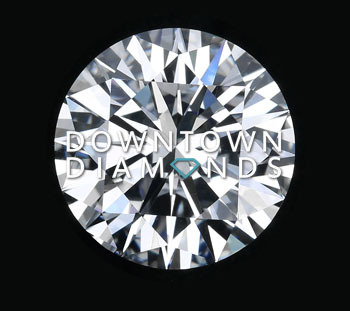 To make the diamond more desirable and marketable, some sales people have the diamond clarity enhanced to make the eye-visible inclusions less visible or invisible to the naked eye. There are two common types of clarity enhancement. The first type of clarity enhancement is called laser drilling . Laser drilling is the use of a laser to drill a small hole in the diamond, extending to reach a visible inclusion such as a black crystal. Sometimes an acid is used to bleach or dissolve the included color, improving its appearance. Laser drill holes can typically be seen as tube like inclusions in the diamond when viewed perpendicular to the point of entry under 10X magnification. The hole can also be seen as a tiny pit-like blemish on the surface, under reflective light of a microscope. The second type of clarity enhancement is fracture filling . Fracture filling involves the use of a molten glass substance to fill or mask the reflective qualities of an internal fracture. Fracture filling can be detected by the telltale ‘flash effect’ that the filling produced. The flash effect can be seen as two distinctly different colors that appear when you rock and tilt the diamond in different directions. Some untreated feathers can show an iridescent rainbow of colors from all directions, so it is important to know the differences. Fracture filling is not a permanent treatment and therefore GIA does not grade fracture filled diamonds. GIA does, however, grade the permanent laser drilled diamonds. Again, Diamond Ideals does not sell any clarity-enhanced diamonds. “Eye-clean” is a term used to describe a diamond or an inclusion that is not visible to the unaided eye when the diamond is held face-up (viewed through the table) at a normal viewing distance of 10 to 12 inches. Nearly all VS clarity diamonds are eye-clean, most SI1 clarity diamonds are eye-clean and some SI2 and even I1 clarity diamonds are eye-clean. An inclusion is called “eye-visible” when it is visible to the unaided eye, without magnification. A carat is a weight measuring unit equal to 0.2 grams or:black”>. It is the internationally used unit to measure the weight of diamonds. Within the diamond trade, fractions of a carat are referred to as “points” or simply as fractions. 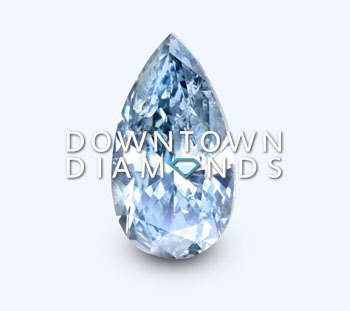 A 50-point diamond weighs 0.5 carats or 1/2 a carat. A 1-carat diamond weighs 100 points. A 1/3 is also 0.3 carats or 30 points. As nature would have it, rough diamonds come in all shapes and sizes, as well as colors and purities. The larger, whiter and cleaner the diamond, the more rare it is. Accordingly, the cost per carat of a larger diamond of the same color, clarity and cut will be higher than a smaller diamond. The price per carat of diamonds rises proportionately with size. Keep in mind that the per carat price gets multiplied by the carat weight. More weight equals more money so, many diamond cutters sacrifice brilliance to maximize carat weight and profit. It is important to realize that weight does not always equal size or beauty. Poorly cut diamonds intended to maximize size can be dull and lifeless. Some experienced cutters sacrifice weight and focus on cut to obtain the most beautiful and brilliant Hearts and Arrows diamonds on the market today. On the average, cutting a Hearts and Arrows Ideal Cut Diamond requires a 15% greater waste of the original material. 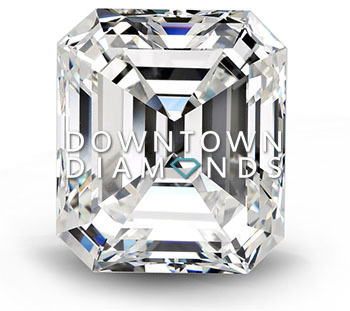 The added beauty one obtains from a Hearts and Arrows diamond is well worth the sacrifice. Diamond Ideals specializes in sourcing these cutters and bringing the most beautiful diamonds to you.